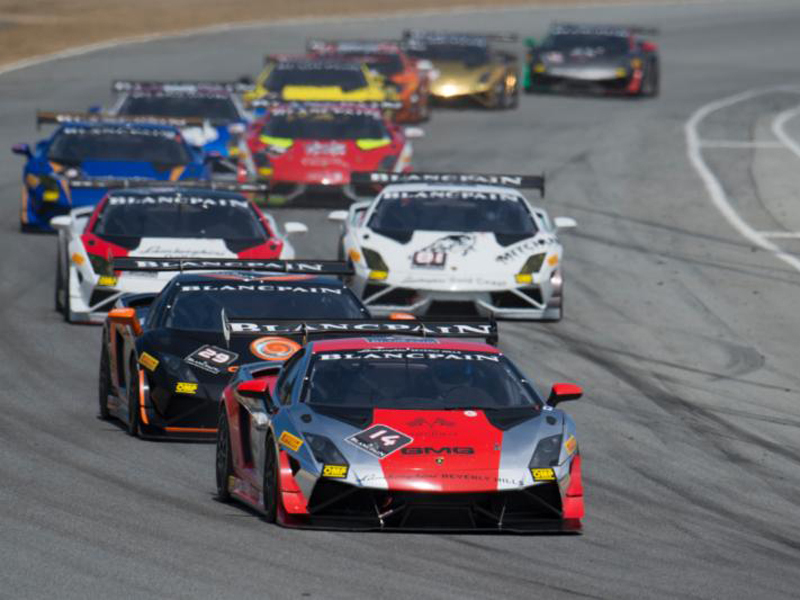 2013 World Final winner Andrew Palmer finished a sweep of both Lamborghini Blancpain Super Trofeo North America races this weekend at Mazda Raceway Laguna Seca, winning Race 2 on Sunday, May 4. Palmer, from Chicago, became the first two-time winner in the series this season in the No. 14 Lamborghini Beverly Hills Gallardo LP 570-4 Super Trofeo. He led all but four laps of the 50-minute race on the 11-turn, 2.238-mile circuit, losing the top spot only as the field cycled through its mandatory pit stop.